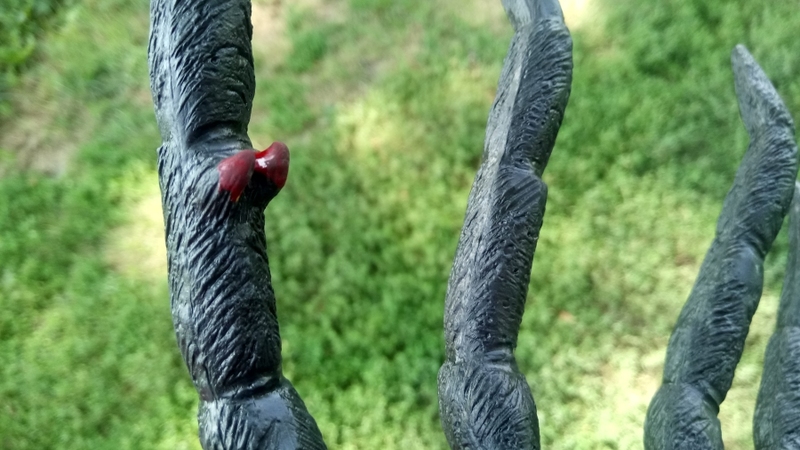 These small, paired hooks on the underside of the second set of legs are tibial spurs, found only in some species of tarantula spider and only in males who have undergone their final molt. The spurs are perfectly shaped to cradle the fangs of the female, because even after she accepts an offer to mate, she might get hungry! 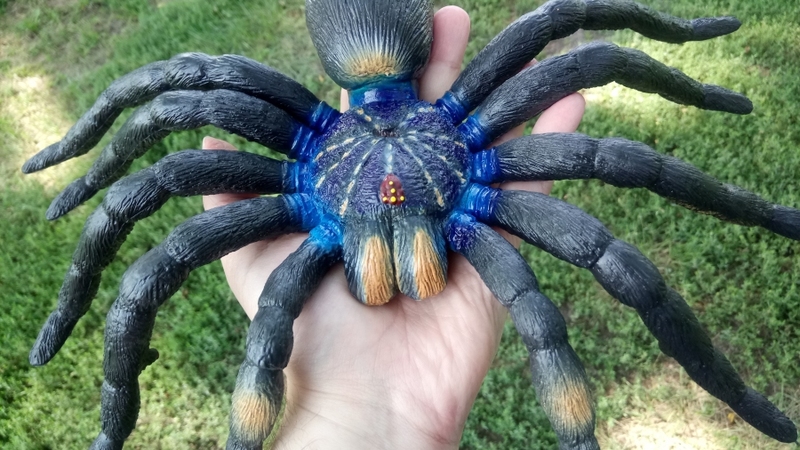 There's no real reason to include this detail on a fake spider, other than to be a stickler for extremely thorough biological accuracy, and they even bothered to paint the spurs a different color! I still don't know why characters in the shape of ceramic paper bags are such a major trend, or at least were a major trend when I was younger. I guess I've never actually seen them outside of a thrift store, a garage sale or an ebay listing. I have no idea where they come from. I have never seen one new. 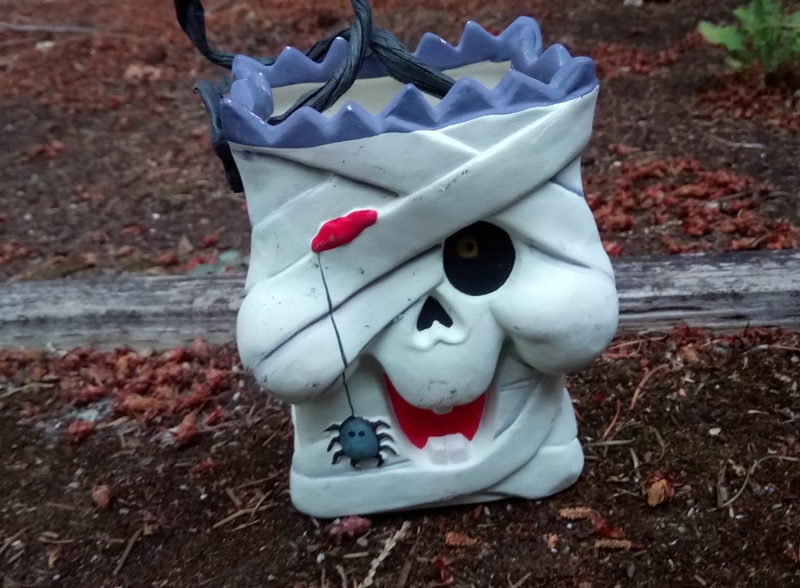 This is probably my third or fourth Ceramic Paper Bag Monster, but I think it's easily the best; a mummified skull with a spider dangling from a bloody wound. It's all so much more morbid than is suited to this goofy design style, and that's what Halloween is all about! 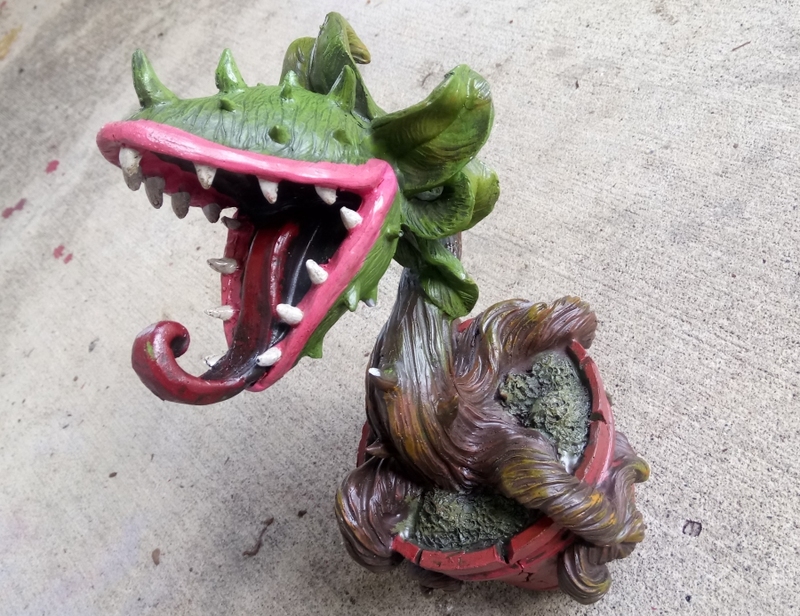 Audrey II's sure are trendy this year! We saw more than one available at Michael's alone! This beautiful sculpt, with a thorny pod and bubblegum-pink lips, is exclusively sold through AC Moore craft stores, clear on the opposite side of the country from us. So, I paid for two of them to be sent by a friend...but both of them, as nicely packaged as they were, arrived broken at the neck in the same exact spot, and only one of the two was really fixable. I'm not the only one whose had these break on them, either, and some have found them already broken on store shelves, always in the same place. Their necks are thin, their heads are heavy, and their poses make them very prone to falling over backwards! A great design brought down by poorly planned manufacturing. Shown to me by a friend who works at whatever a "Christmas Tree Shop" is (a WHAT shop? I don't know those words!!! 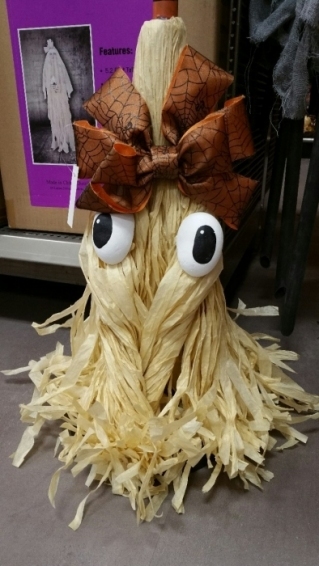 ), I'm told this is surprisingly expensive for nothing but a cheap straw broom with eyes on it, but I'm still really happy to see a personified witch's broom at all, and I hope it won't be the last. Eyes on anything that shouldn't normally have eyes is something I think is always welcome, in virtually any context. The same friend managed to get me two of these, in two different colors! 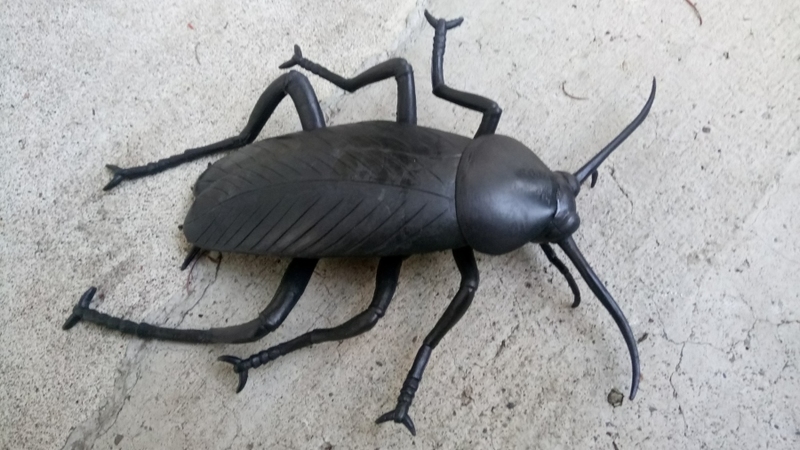 They come in black or orange, and they're surprisingly large - over two feet across! - for something that apparently cost only around five bucks each. 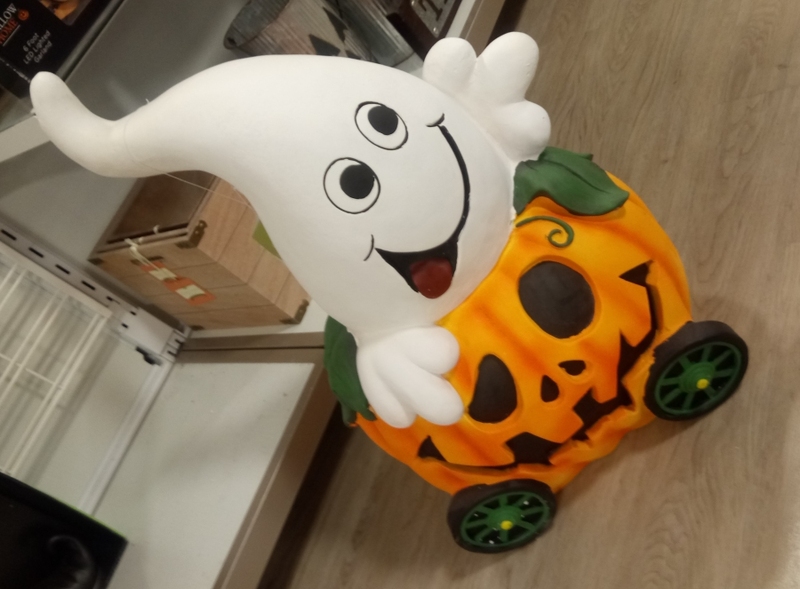 We saw another one-eyed pumpkin design from At Home, and I've heard reports of still others from still more distant retailers. Why DID it take until this year for anyone to realize they could just put a big, spooky eyeball on a Halloween pumpkin?! 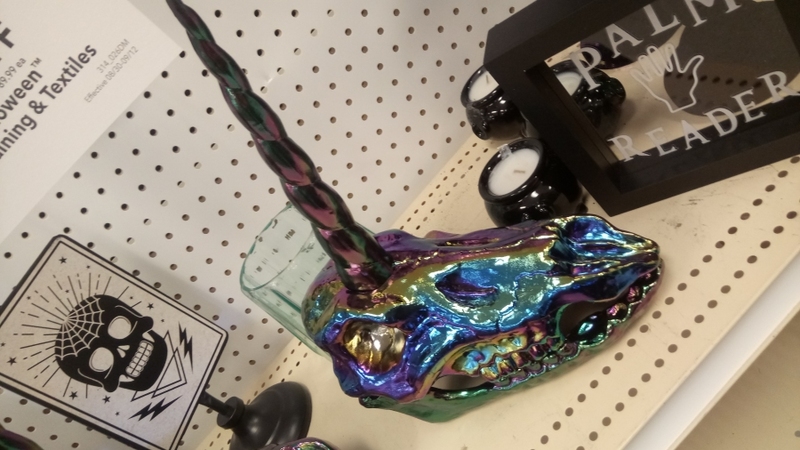 Not only a decorative Halloween unicorn skull, but in metallic rainbow colors, just like an actual real unicorn's bones! More scientific accuracy! This item is most noteworthy for its size, well over two feet tall. It's practically the size of a child! I love the specific face carved into that nicely vivid pumpkin, too. I'm fond of round-eyed Jack O' Lanterns as well as specimens with more uneven toothy mouths. 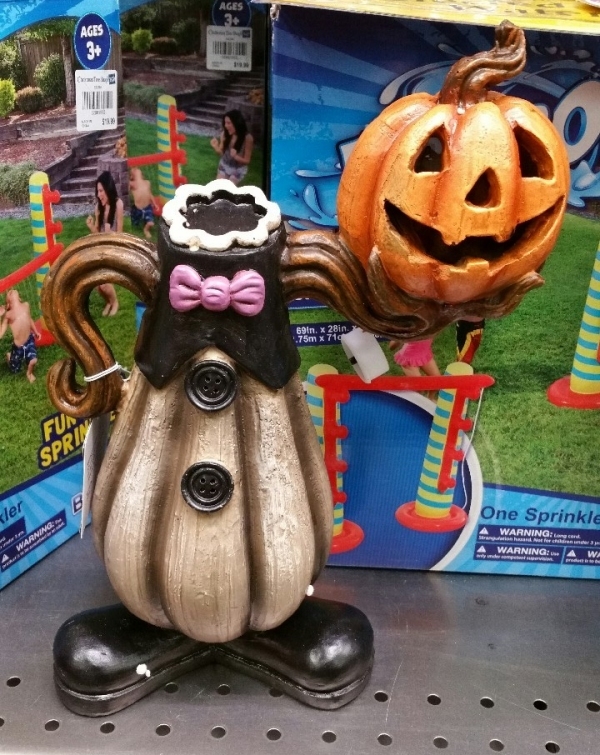 A figurine of a pumpkinoid holding its own head, and it's a rare modern instance of a pumpkin headed being with a different gourd for a body! Truly a lost art. 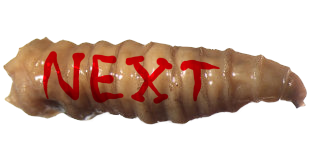 I appreciate the fact that the neck really looks like someone cut through said gourd, too. A big, heavy, realistic rubber Slimer larger than your head! Too bad it's something like 50-60 bucks, well outside what I'm willing to spend on almost any licensed character item, but I would have been freaking FLOORED to have this when I was a kid. 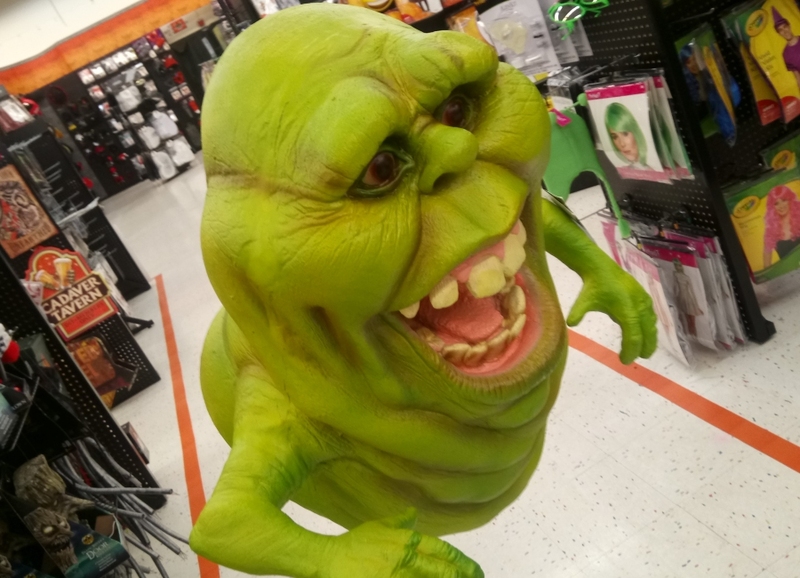 I actually got into Ghostbusters as a child because I suddenly wanted a big plush toy of Slimer so badly, and I never did get one, but they didn't look nearly as good as this thing anyway. This and a few other Slimer items are really the only thing I found very memorable at Spirit this year, and it really isn't often that they have much, to be honest. 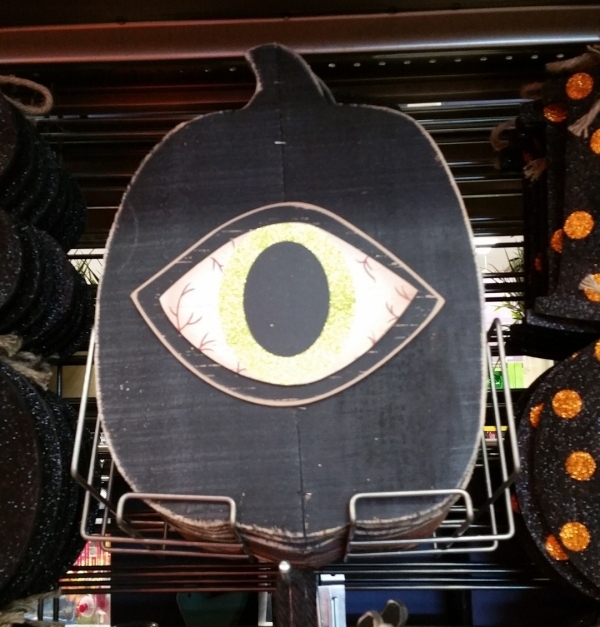 An entire store devoted to Halloween, and most of its contents are still rather conventional. 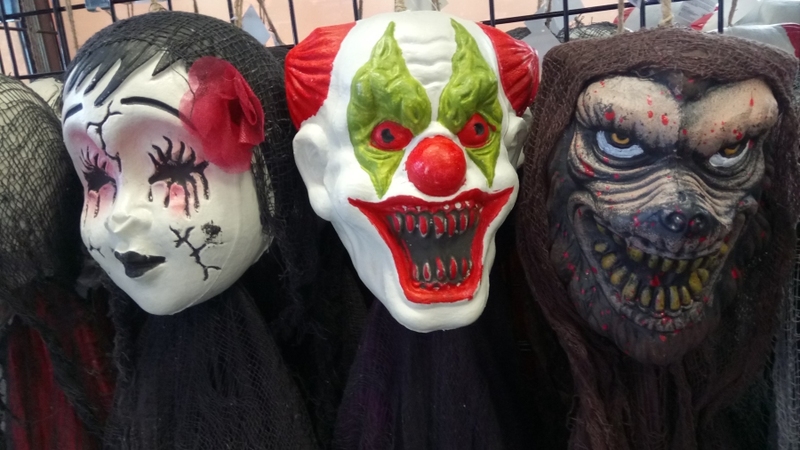 We previously reviewed Party City's amazing selection of 2018 "animatronic" props, but they had a few non-mechanized things of interest. The clown is something I've seen before, but I haven't seen that many robed, hanging werewolves, and I REALLY liked the creepy goth doll monster, which I wound up getting...even with her squished nose. 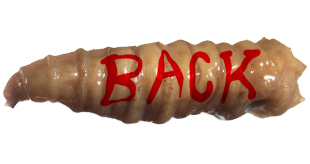 Over a foot long and made of really tough vinyl! Or flexible resin! I don't know! They're not quite hard plastic and they're not quite soft rubber! 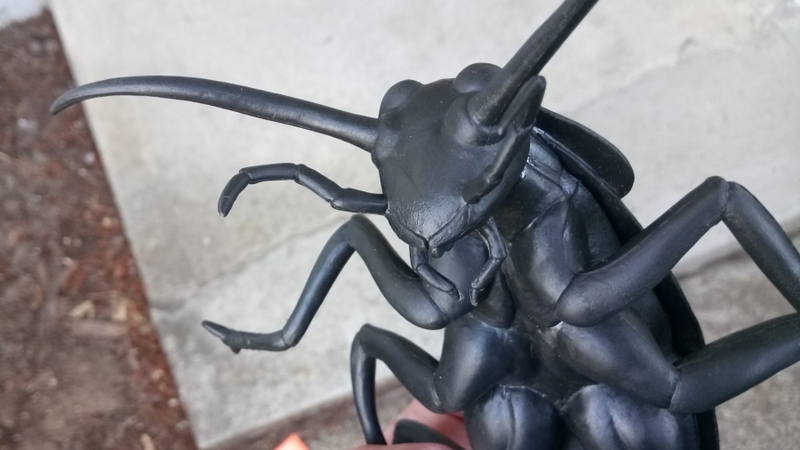 The roaches are very accurately detailed, but it's kind of a shame they're entirely black. They'd have looked stellar with some paint application, or better yet, if they were a translucent amber-colored material! 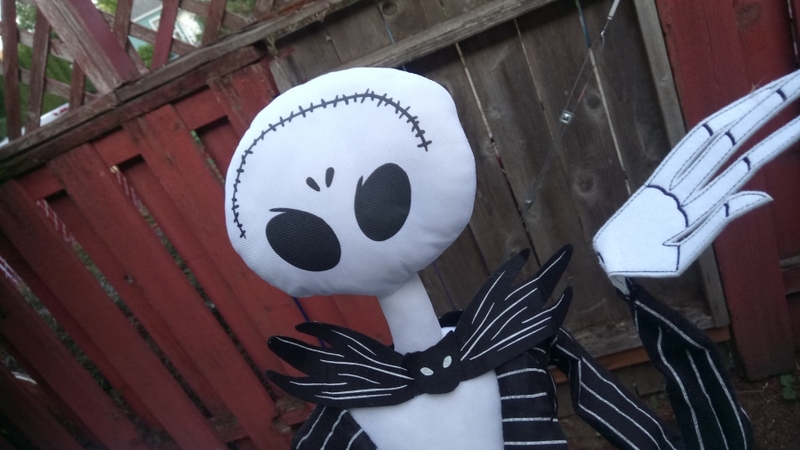 I had no need of a 3.5 foot tall plush Jack, but a singular flaw in their otherwise identical crowd caught my eye. Their heads cannot be rotated. JYURCKE'S face is permanently sewn in this configuration, and they almost asked me if I wanted a different one. Mistakes like these more often get sent right back to the manufacturer to be destroyed, but how can you look at JYURCKE SKULLUMSON, MELON PRINCE OF ARBOR DAY and ever let that happen? !